After much procrastination, I went ahead and manufactured 4 more 24×24 inch “grids”. 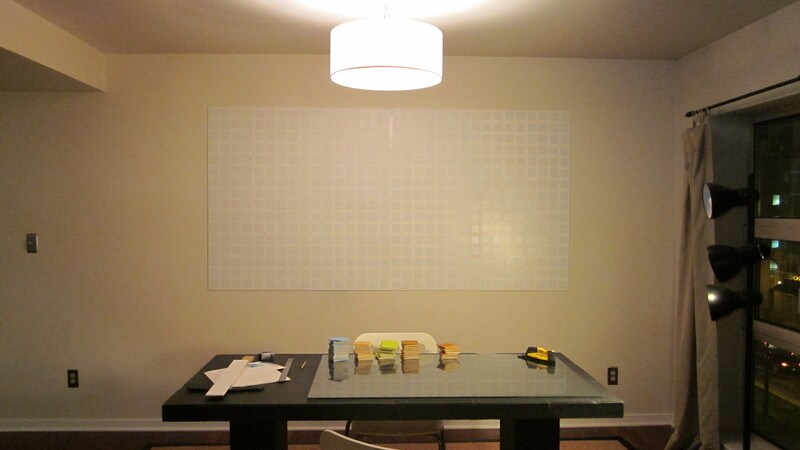 I installed 2 on either side of my existing 4×4′ square – effectively doubling the size. Moving forward, I’ll dub this installation “Double Wide.” After my new batch of pixel/tiles I should have enough to make something interesting. This entry was posted in Double Wide, Mosiac Project and tagged 8-bit art, Double Wide, FlexIron, Foam Core, Mosaic Project. Bookmark the permalink.